In this article Mark Ford shows you how to market online for free using 6 different free marketing strategies. 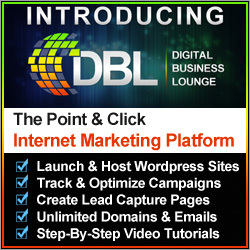 I can remember when I first started my internet business. I had to look at free marketing strategies to get it off the ground. Why? Well because back in 2006 I took the leap of faith and started to build a business from home full time and sack the boss. What I mean by this is that I handed in my notice and left behind a very well paid legal job to work from home, initially on building a property portfolio, and then eventually an online business. Not only that I also quit a very successful entertainment agency business that I had run for 10 years. Goodbye to the late nights! I can still remember the level of anxiety and worry that I had going on inside me when I took those risks, but I wanted to let the entrepreneur out, be my own boss, be in control of my own destiny and gain more freedom in my life. A life where I could choose what I do each day, or don’t as the case maybe. 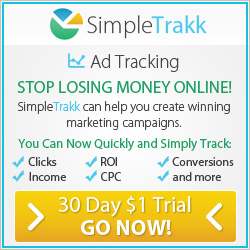 Free Marketing Strategies – Mark, It Takes Too Long – I Need Quick Results And Can’t Wait! There are some marketers who scorn on free marketing methods as they see them as long term strategies and favour paid marketing methods to get quicker results. I vehemently disagree because when used correctly free marketing methods can bring very positive results in a short time. In this article I am going to show you how to market online for free and they are methods that I have used to earn many thousands of dollars per month. I recognize that you may be on a tight budget to get your business started and you may be thinking that you have to wait until you can raise enough cash to put into your marketing. I will tell you that you should never wait, you should take action today and I will show you how. Blogging is a fantastic free marketing strategy and the one that I have had the most success with within my online marketing business. Content marketing is big business and the major search engines look favourably on blogs and rank them highly in the search results. Blogging is a great way for people to get to know you and you can use blogs to share your knowledge to provide solutions to the problems that they may be experiencing. If you can spare an hour or two a day you can quickly build up a loyal fan base of readers. By providing value through your blog posts you can promote your products and services, which maybe your own or affiliate products, and generate a full time income. To help you understand more about blogging, and how to build a full time business from blogging, I have created a free resource called Your Blog Content which is a blueprint to building six figure home business blogs. Click on the image above and claim your free copy. You may think that advertising on social media costs money but I can assure you that you can use it for free. Create profiles on all the social media platforms and then publish value driven content regarding your business. What you find is that people will then like and share your content with their circle of family and friends so that a viral marketing effect takes place. Individuals are more likely to purchase something through recommendation. Also you can create a conversation with people by asking for comments and then engaging with them to build up your own relationship with them. There are many article directories that you can join and publish content onto them. This is a very powerful strategy as these article directories attract very high volumes of visitors so potentially you could get a lot of exposure and be seen as an authority in your field. This builds up your credibility and people will then start to know, like and trust you and act upon your recommendations. You can offer a free resource such as an e-book, video series or even a free consultation with yourself. What you would need to do is set up what is called a lead capture page to capture individuals names and email addresses and you can promote it by using the methods that I am referring to within this post. By doing this you will then build up a database of contacts that you then can communicate with through email to continue providing value and offer promotions. Once you have you database as I have previously mentioned you can send an email to potentially thousands of people at the same time. All this will cost you is the time that you spend composing the email which could be around thirty minutes. One of my business mentors once sent an email to his list of subscribers while he was on holiday and when he checked the results a few days later he had made over $15,000 which more than paid for his holiday. So now you can see the power of email marketing. Within you computer you have programs and technology to create short videos that enable you to provide valuable information regarding your business as well as making promotional videos for your products and services. You can then upload them to video hosting sites such as YouTube and people can then watch your videos and if they like what they see they can take action by clicking the links you provide which will direct them to your free and paid solutions. 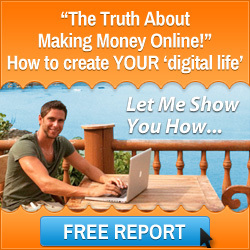 I have shared with you how to market online for free using six strategies that I have used to great effect. So there is no excuse why you can’t be doing the same. If there is anything else I can help you with then please feel free to contact me here. 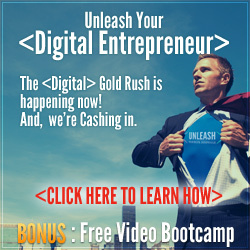 I wish you every success in running your home business from anywhere in the world and profiting from free marketing strategies. This entry was posted in Digital Marketing and tagged free marketing strategies, how to market online for free, mark ford, organic marketing. Bookmark the permalink.